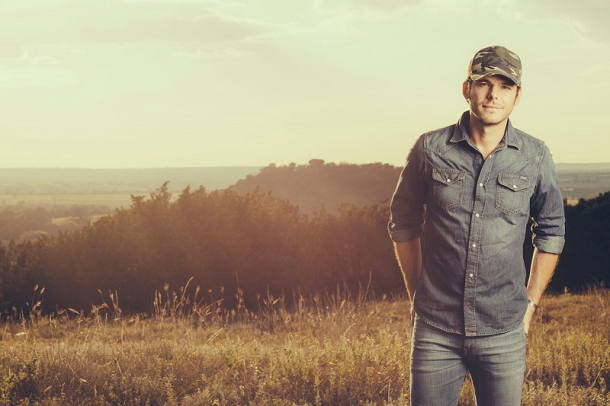 The City Parks of Clarksburg has announced that chart-topping country music trailblazer, Granger Smith, is set to perform at the Clarksburg Amphitheater on Thursday, May 24, 2018. Granger has been lauded by outlets such as People, New York Times, Variety, Forbes, Fox News, Rolling Stone, Billboard, Huffington Post and CMT. He has also performed and appeared on Jimmy Kimmel Live!, the Today Show and Fox & Friends. This marks the second major concert announcement of the year for The AMP as the venue celebrates it’s 10th season of summer entertainment. Over the last decade, the 2,000-seat venue, which is owned and operated by the City of Clarksburg Board of Park Commissioners, has hosted bands such as Florida Georgia Line, Jake Owen, Aaron Lewis, Everclear, MercyMe, Chase Rice, Fuel, Kansas, Old Dominion, Casting Crowns and more. Granger Smith tickets go on sale at 10am on Tuesday, May 1st, 2018, and there is no pre-sale scheduled for this event. Advance tickets will be available by visiting www.ClarksburgAMP.com or by calling 866.973.9610. Advance tickets will be $25 for general admission, $35 for reserved seating and $40 for premium seating, which will include the first 7 rows from the stage. Day-of-Show tickets will increase $5 for each section and will be available at the venue unless they sell out prior to the event.